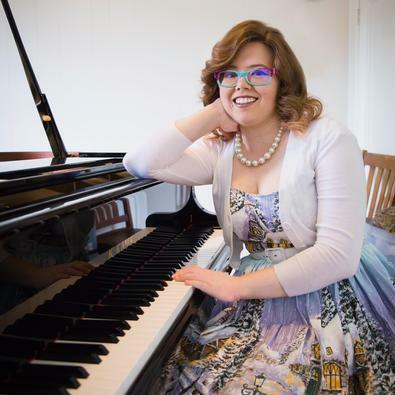 Josie Merlino currently serves as an adjunct professor of music at Seton Hill University in Greensburg, PA, and Saint Vincent College in Latrobe, PA, where she teaches music history, piano lessons, music theory, and class piano. She serves as an accompanist for opera workshop at Seton Hill, and numerous student recitals at both Seton Hill and Saint Vincent. She is the director of liturgical music at Mary Mother of the Church in Charleroi, PA. She enjoys teaching students of all ages at the Community Music Program at Seton Hill, as well as her private studio at Saint Vincent in Latrobe, her church in Charleroi, and her home in Mount Pleasant. She enjoys organizing recitals for her private students as well as her college students each semester, watching students’ progress, and celebrating achievements. Josie earned her Doctor of Musical Arts degree from West Virginia University in 2017 where she studied with Dr. Peter Amstutz. She earned her Bachelor of Music and Master of Music degrees from Duquesne University in Pittsburgh, PA in piano performance, where she studied with David Allen Wehr. She maintains a very active performing, accompanying, and teaching schedule, and is a highly requested musician for concerts, recitals, weddings, church services, and special events.